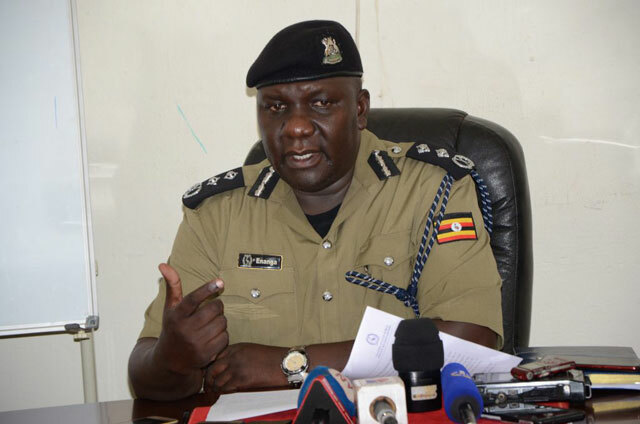 KYENJOJO – Police have said the masterminds of last week’s killing of five children in Kyenjojo district have confessed to carrying out the crime in revenge. Police spokesperson Fred Enanga said the five suspects in custody said the brother of Joseph Tumwebaze, the children’s father, allegedly killed their own brother seven years ago. “These suspects have confirmed that they revenged for their brother who was killed by Tumwebaze’s brother in 2012. They accuse Tumwebaze for helping his brother Godfrey Ndyanabo to get out of prison,” Mr Enanga said on Monday. He said preliminary investigations indicate that whereas Tumwebaze met the suspects’ family and paid them UG4 million as compensation, two of the deceased’s brothers did not accept it and vowed to revenge against Tumwebaze and his brother Ndyanabo. Mr Enanga said the suspects were arrested after they found with a blood-stained cloth of one of the murdered toddlers. “By yesterday, suspects were leading our officers who different places where they had hidden the machetes they used to kill the children. Our detectives are gathering all vital information and exhibits,” Mr Enanga said. Suspects have been identified as Justus Balyeija aka Yusi, his wife Keli Akampasa, Lauben Muhereza and his wife Sylvia Alinda. Police further tracked down and arrested Allan Turyahikayo, a prime suspect, from Ntinda [Kampala] and transferred him to Kyenjojo. “We have established the identity of the other two suspects on the run but we are on the lookout for more and they include Fred Byaruhanga, a councilor in whose home the plot was hatched, and Emmanuel Kagurane, who instigated the murder. We are tracking them down for arrest,” Mr Enanga said. Last Thursday, at around 1am, the suspects broke the door and entered the house. The thugs locked a relative, Gerald Akampa, in his room and searched around for Tumwebaze but he was not in at the time. Mr Enanga said preliminary investigations indicate that after failing to see Mr Tumwebaze, they broke into the children’s bedroom and hacked all the five to death. The toddlers’ mother was seriously beaten and dumped into River Kahompo where she was rescued from and currently undergoing treatment. “We continue to appeal for anyone with information surrounding the whereabouts of remaining suspects to contact us or shared it in confidence with the police,” Mr Enanga said.